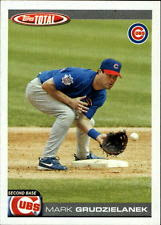 Dascenzo was one of the best fielding outfielders in the National League during his time with the Cubs. He started his career with a then record of 241 consecutive games without an error. Doug was an extra outfielder during the exciting Boys of Zimmer division champion season of 1989. He never really managed to claim a full-time starting position because his hitting was a little weak. His best hitting season with the Cubs was 1992, when he hit .255. While he was with the Cubs he also pitched when the Cubs ran out of pitchers or at the end of blowouts. He appeared in four games and didn’t allow a single run. Toth is probably one of the most obscure pieces of the infamous Lou Brock trade. He went to the Cardinals along with Brock and Jack Spring. He never pitched in the big leagues for the Cardinals. His best year with the Cubs was 1962, when he won five games with a 3.10 ERA for an incredibly bad team. Joe languished in the minor leagues for ten years, but did get a few very brief tastes of the big time during World War II, including his very short stint with the Cubs. The catcher appeared in only four games and managed to get one hit in eight plate appearances. But Stephenson’s baseball career is more notable for what he did after he retired as a player. He worked as a scout for the Red Sox and discovered the likes of Fred Lynn, Rick Burleson, Dwight Evans, and Bill “Spaceman” Lee. 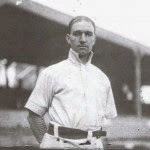 Hudson was a backup infielder who played seven seasons in the big leagues, but remained in the game for the rest of his life (mostly as a scout for the Giants). He was dubbed “Mr. Chips” by Dodgers broadcaster Red Smith because the movie “Mr. Chips” was popular at the time, and Johnny always seemed to come through when the chips were down. He came to the Cubs in the historically bad trade that sent Hall of Famer Billy Herman to the Dodgers. Hudson didn’t do much in Chicago. He hit .202, while Herman led the Dodgers to the pennant. Jocko pitched only one season with the Cubs (then known as the White Stockings) in 1886 and won 23 games, but he was a small man (5’6″, 143 pounds) with a very large appetite for booze. He blew out his arm and became a full-fledged alcoholic. He died shortly after his 43rd birthday.